Your clients will be able to view all their invoices online including an up-to-date payment status. Speed up the time it takes to get paid by adding payment buttons for debit/credit cards or PayPal. Stripe is the most innovative payment processor around and we're proud to be associated with them. Stripe account creation and integration into AccountsPortal takes minutes and allows you to accept online card payments without setting up a merchant account. 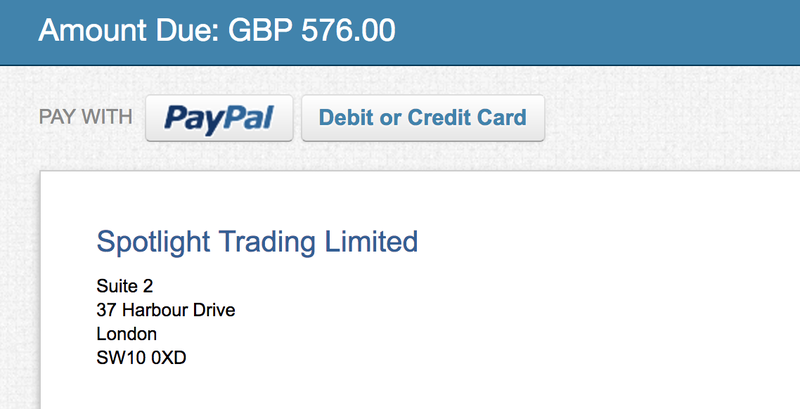 Add a PayPal button to accept card payments or direct remittance from PayPal users. Enhance the experience by activating our automatic PayPal import.